The population is pretty much the bread and butter of any ruler. Here you can assign them to labor at whatever resource you need at any given time. New people being migrated or born to your kingdom automatically get jobs based on capacity of the mines. -You can have homeless about 20% of your population - by ignoring to build houses until a point. But you can't have starving, so your limit is primarily how many you can feed. -You can use rituals, researches or boosters to help you get population faster. -To reach the maximum population potential of a city along with houses and farms you need to research Civil Governance at the university. 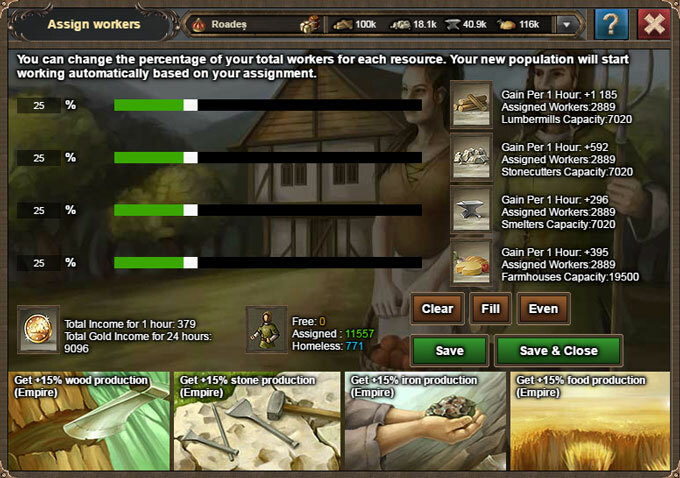 You can click, drag or type to choose the exact % of population that you wish to work on gathering a specific resource type. The "Fill" button distributes workers optimally based on the mines capacity you have. If you don’t have a stone mine its not going to put any people to stone. 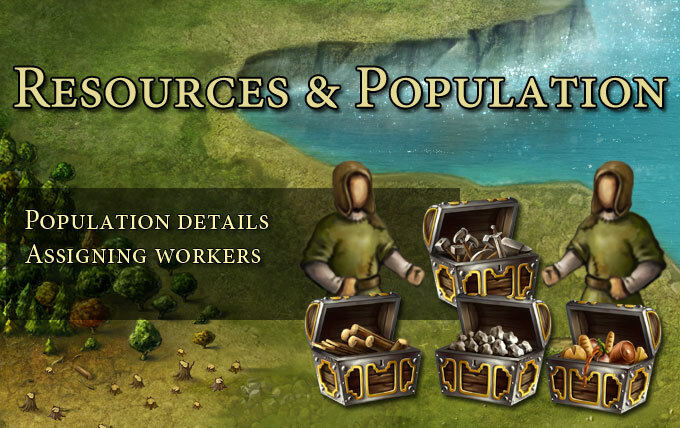 - As a result new population will only be assigned to work for resources that you can gather. When you are done just apply your changes by clicking the "save" button. Assigned: are already working on what you've ordered them. Homeless: Are meant to preserve the population growth while over capacity. Build more houses and you can use them. Population costs nothing so don't worry you aren't paying them.